The trailer for the upcoming animated Addams Family film was released last week, and I want to say, I’m super excited! Sadly, not everyone shares my enthusiasm, with multiple criticisms from the look to the humor. While I understand not every film is for everyone, I want to shoot down some of the critiques that are just plain, well… wrong. First, people are complaining about the look of the film and how the animated figures are caricatures, distorted and exaggerated. When the news first came out, I heard people criticizing the style and bemoaning why they changed it. Except, producers haven’t changed a thing – if anything, they’re going back to the original artwork. The animated characters are quite close to how cartoonist Charles Addams initially drew them, and this isn’t the first time they’ve looked like this. This portrayal is how they looked in the 1970s animated series, and even the 1990s animated series bears some similarities. The only place the Addams Family has looked different is in live-action adaptations, which is understandable. Otherwise, this movie is very faithful to everything from the original strip to the later shows. Second, some people didn’t like the humor, which felt a little more “cartoonish.” One particular complaint was how Wednesday was more depressed than psychopathic, obviously comparing the trailer to Christina Ricci’s portrayal. Once more, this film is more representative of the original cartoon strip, and characters were (quite obviously) “cartoonish.” Even Wednesday had more of an attitude of gloom and boredom there, compared to the psychotic serial-killer of the 1990s films. Even then, each adaptation of the Addams has been different. The 1960s television series had a much more jovial and family-friendly portrayal; the macabre was downplayed into simple eccentricity and oddness. I love the show and its cast, but it was as different from the original cartoon strips as the films were from it. Let’s make one thing clear: the Addams Family have been a staple of American pop culture for as long as Superman, and have been around longer than Archie, Marvel, Star Trek, and numerous other figures in pop and geek culture. They’re considered one of the most iconic fictional households in American culture and even credited with inspiring everything from the Flintstones and the Simpsons to the Goth subculture itself. 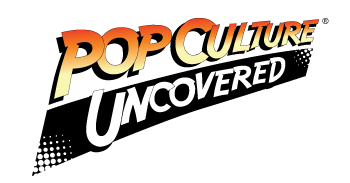 Even if you didn’t read the original cartoon strip (which can still be found in books today), many of us grew up watching the 1960s television series or 1970s television series (even it was in syndication). 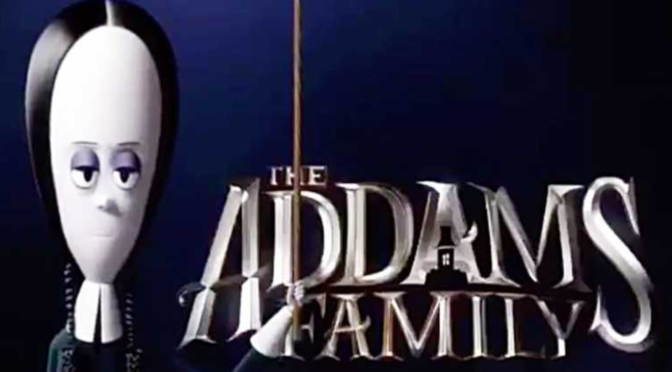 Almost everyone born before the 1980s knew who the Addams Family were long before the 1991 film, and even those introduced through the movie were responsible for a franchise revival in both animation and television. Not to mention an award-winning musical. Suggesting that The Addams Family’s popularity hinges on the 1990s films is like saying that Star Trek’s fandom depends on the Abramsverse or Batman wasn’t popular until Nolan’s films (or even Burton’s). I understand the love and nostalgia for the 1990s movies; they’re classics with fantastic performances and a legacy to a great actor we lost all too soon. To compare this new animated film, however, to those is a fallacy at best; they were their own interpretation just like the cartoons, TV show, and the comic strip that came before. As a longtime fan of the Addams, I welcome this newest addition and hope that the movie is as fun as the trailer suggests. From what I’ve seen, Oscar Isaac will be an excellent addition to the many people who’ve portrayed our favorite patriarch, from John Astin to Lennie Weinrib to Raul Julia. As for Wednesday, I believe she’s in good hands with iconic actor Chloë Grace Moretz.